In August 2012, a Board Certified Medical Physicist (Dr. Mauro Tambasco) was hired by the Department of Physics at SDSU. 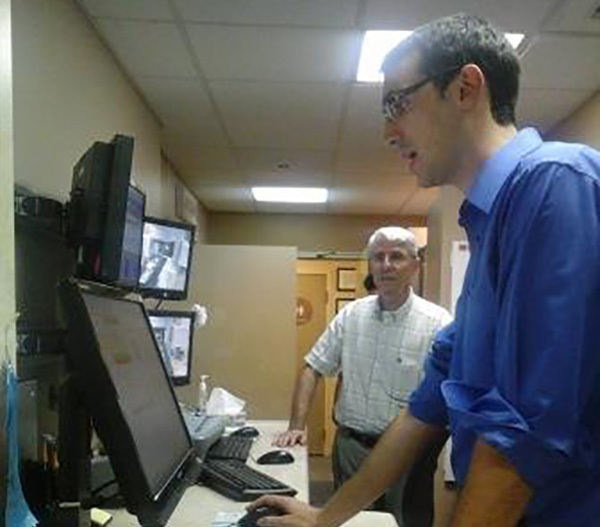 Dr. Tambasco came to SDSU with ten years of clinical/academic experience in Radiation Oncology Physics. Eight of those years were at the University of Calgary/Tom Baker Cancer Centre where he participated in the CAMPEP accredited training of Medical Physics Residents. 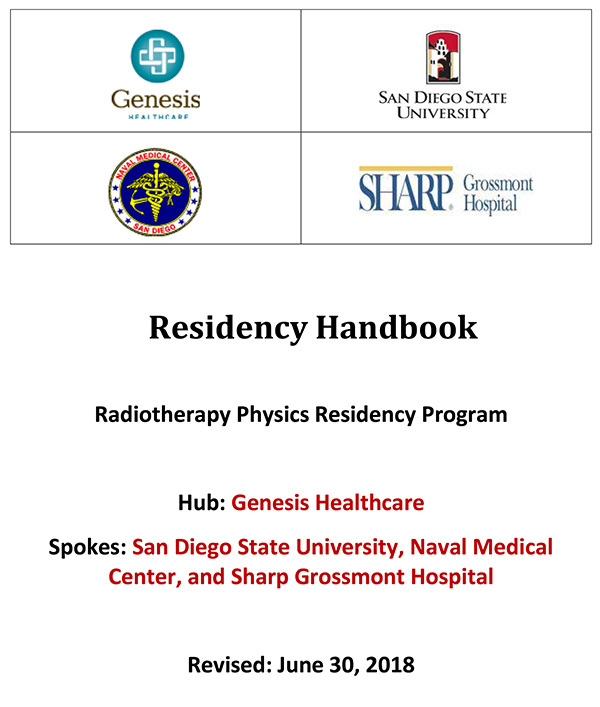 The residency program at SDSU was launched with our first two residents in August 2014 by Dr. Mauro Tambasco (SDSU), Dr. Usha Sinha (SDSU), Dr. Richard LaFontaine (Naval Medical Center), and Dr. George Mardirossian (Genesis Healthcare Partners). Sharp Grossmont Hospital also joined the program in January 2016. The program received full accreditation by the Commission on Accreditation of Medical Physics Education Program Inc. (CAMPEP) in Oct 2016. 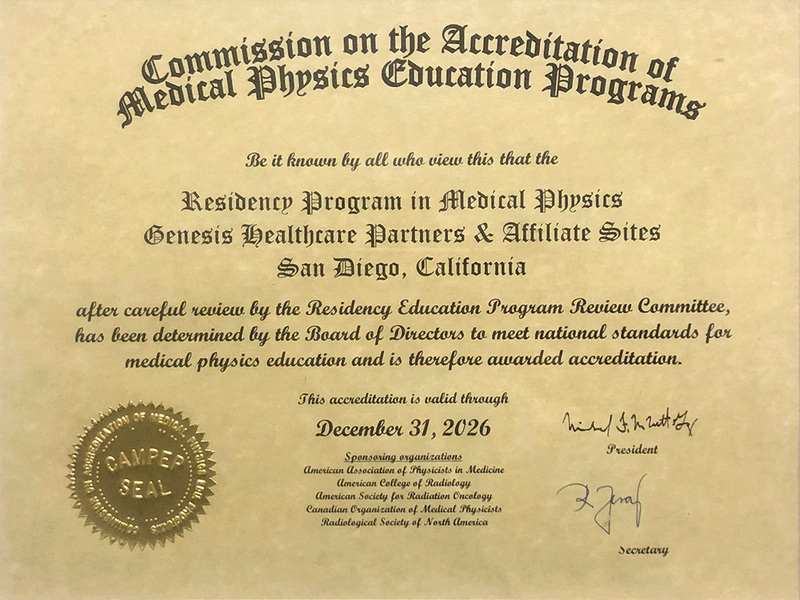 Click Here for the Full List of CAMPEP Accredited Residency Programs in Medical Physics. The program follows the hub and spoke model with Genesis Healthcare Partners serving as the hub and the affiliated sites serving as the spokes. This model seeks to diversify the resident’s exposure to newly emerging technologies available at the different partner clinics, and provide enhanced teaching and learning opportunities. This formalized clinical training program has four 6 month rotations through the partner clinics, and is designed to meet the standards of CAMPEP and the AAPM Reports No. 249 & 133. Genesis Healthcare Partners and Affiliates obtained full accreditation in Dec 2016. Unlike conventional residency programs in medical physics, the Radiotherapy Physics Residency at Genesis Healthcare Partners & Affiliated Sites is a two year tuition based program (as of 3rd of July 2017 will be $15,750/year) that offers a Certificate through the College of Extended Studies (CES) at SDSU. The tuition collected by the CES at SDSU is used to support the program costs (i.e., administrative and educational costs associated with a certificate program in the CES at SDSU).